how many castles does slovakia have? Slovakia is home to a vast amount of castles, manors and chateaux, all in different kind of conditions. In fact, it is estimated that Slovakia has the highest density of castles per capita in the world…in the world! According to the national tourist board, Slovakia is a “castle superpower” with more than 100 castles and at least double the number of manor houses. This makes Slovakia virtually a paradise for anyone interested in history! 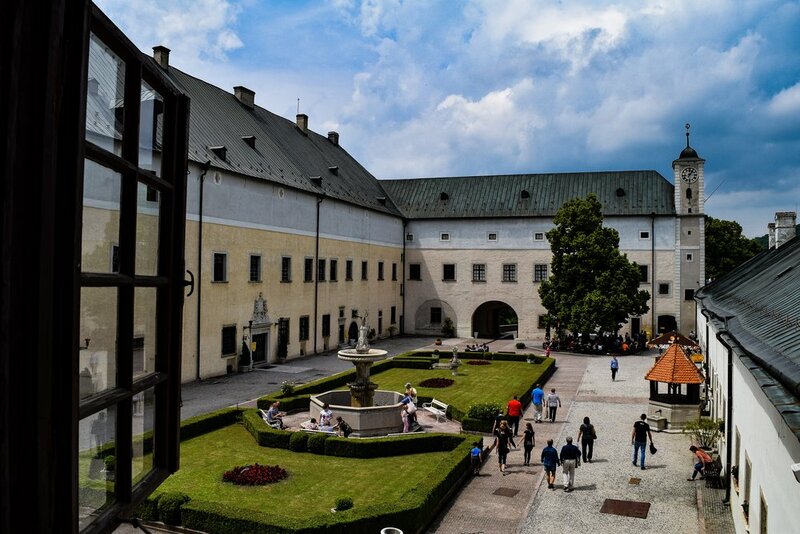 Before you put on your history shoes and plan your castle tour around the country, it is important to know that Slovakia has a slightly confusing naming policy for all kinds of lordly buildings, if translated to English. A castle in the traditional sense is called hrad. A hrad may have functioned as a residential castle, as a defensive structure or both. A hrad is not the same as a fortress, though, which translates in Slovak to pevnosť. Next, you have a zámok and kaštieĺ - here it gets confusing. A zámok would translate to “chateau”, although many tourism websites still call it a castle, while a kaštieĺ is a manor house, despite the fact that the word looks like…“castle”. So, a castle which is called a castle may or may not be an actual castle. Are you still with me? For example, my wife and I got married in Kaštieĺ Topoĺčianky, which is sometimes also described as a chateau (zámok), since in its current form (as a kaštieĺ) it is an extended version of an older chateau (a zámok). Finally, there is also the kuria, which is best translated to “mansion,” which should not be confused with a manor, which is of course a kaštieľ. There you have it. Now enjoy the photo galleries!